Final Girl: awesome movie poster friday- the CHRISTMAS edition! 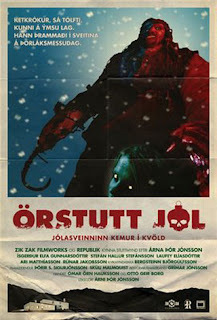 awesome movie poster friday- the CHRISTMAS edition! 1) Yeah, I realize that some of these are VHS boxes rather than posters. Sometimes posters simply aren't available- and the boxes rock anyway! 2) Yeah, it pains me to include anything to do with the Black Christmas remake. As you may remember, I found it to be quite a steaming pile, and if I ever see it walking around the floor at a convention or whatever, trust me...it's on. Even though the poster with eyes is still kinda cruddy, in my opinion these are both vastly superior to the final poster image. 3) Yeah, that's it from me until after the holidays. I've got some jet-setting to do! Whatever it is you celebrate, I hope you have a grand ol' time. Yay! Have a great Christmas, Stacie! I would just like to mention that I, too, was deeply offended by the remake of Black Christmas beyond belief. How could they take something so good and make it so wrong? 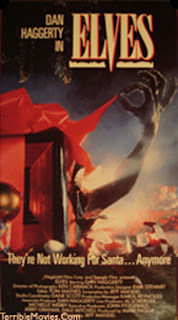 I love the original Black Christmas poster. I've always had a girl crush on Olivia Hussey. I own To All A Goodnight on VHS. It's very rare and very bad. Just like to say that. Merry Christmas!!! I actually liked To All a Goodnight. I don't know...maybe it is just because the flick makes me nostalgic for yesteryear, but I thought it was a fun little movie. 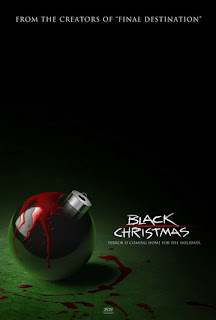 Of course, I should probably watch it again...and, Stacie, I agree...the new Black Christmas is a complete WASTE. In fact, it insults true waste. Have a holly jolly, Stacie and fellow comment-friends! For Xmas I plan on waking up, opening my prezzies, and watching Gremlins - I try to watch it every Xmas - and then Silent Night, Deadly Night, and it'll be my very first time seeing the latter film. I can't wait! No really, I don't know if I can wait. I got the DVD yesterday and I wanna watch it right now. Blasted impatience! I actually like the Black Christmas poster with the missing eyes. Maybe it's the German that makes it work. Still not as good as the original, but far better than the movie was. Okay 1) That "Unholy Night" poster is awesome. I'm now on a search for that movie. 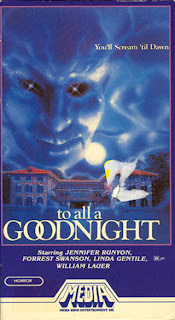 2) I have a copy of that very "To All a Goodnight" VHS. Good posters are a dying art form as far as this guy is concerned. 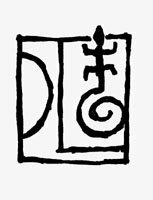 3) Enjoy the holidays. Travel safely! Something about a vampire Santa, zombie elves and ninja nuns. yea gremlins! merry everything to all who post! Black Xmas remake sux but Andrea Martin, how cool is she? 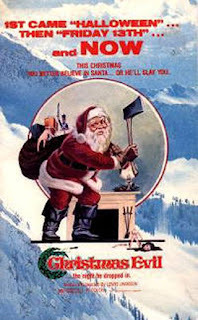 Especially dig the Christmas Evil one sheet - one of me all time favorites. Thanx! 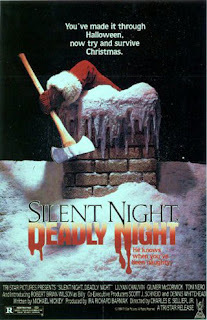 Have always been the biggest fan of the Silent Night Deadly Night poster, even though the Santa with an axe image made my mom not let me rent it as a kid. 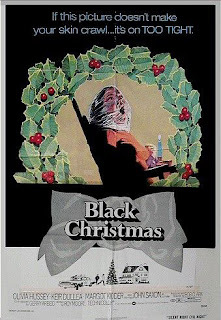 And the original Black Christmas is one of my absolute favorite movies of all time. How lovely does Olivia look in that Japanese poster? Hope there's something good in your stock--OH MY GOD, THAT'S A FOOT! Have a merry Ponder Christmas! My God... just when I think you couldn't possibly get any cooler... you bust out the cover to ELVES. 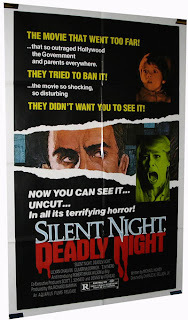 I remember for a joke putting both Christmas Evil and Silent Night Deadly Night in the Christmas section at the video store i worked at...the snotty customers didn't find it so funny next to Charlie Brown and Frosty...I've never see David Hess's To All A Goodnight...bas as people say? I too love seeing the Media logo there! Memories! Am I the ONLY person who liked the Black X-Mas remake? !